According to the Australian Defence Business Review website, Australian Army and Capability Acquisition and Sustainment Group CASG, in charge of military acquisition have deployed a number of new Hawkei 4x4 Light Protected Vehicles to Iraq for operational trials with Task Force Taji, a combined Australian-New Zealand military training force located at the Taji Military Complex northwest of Baghdad. The operational trial of the Hawkei 4x4 light protected vehicle by the Australian army in Iraq, is expected to take place until mid-2018. The Hawkei vehicles are deployed in Iraq in two and four door configuration. The Hawkei vehicle was originally designed to meet an Australian Defence Force (ADF) requirement as part of a wider project to replace the ADF's fleet of operational support vehicles, Project Land 121 Phase 4 – Protected Mobility Vehicle (Light) or PMV-L. 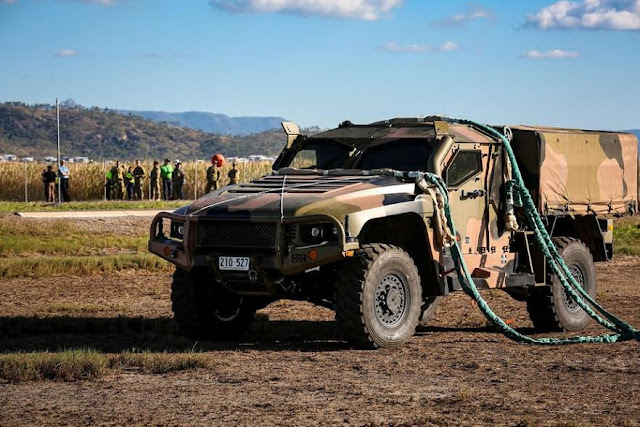 In October 2015, it was announced that the Australian army will order 1,100 Hawkei vehicles t replace part of the Army's ageing Land Rover fleet. It is classified by the Australian Army as light protected mobility vehicles. 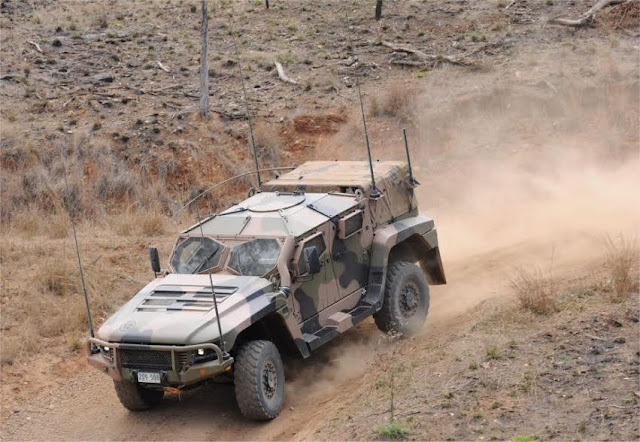 The Hawkei vehicle is manufactured by Thales Australia, which also makes the Bushmaster armoured personnel carrier, in Bendigo. Boeing, Plasan Sasa and PAC Group are partners of Thales, supporting the Hawkei project. The Hawkei 4x4 light protected vehicle was designed to offer high level of protection against modern ballistic and mine explosion threats. A high level of built-in blast protection is combined with ballistic protection that can be scaled to match the operating environment.